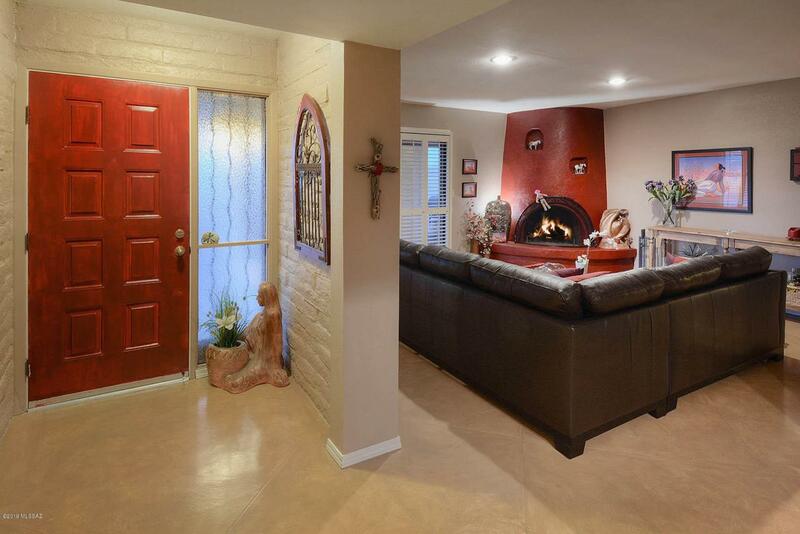 A beautifully remodeled Sunrise Presidio home, on a private lot w/ picturesque city & mountain views. As you enter through the gated entrance, you will love the exquisite upgrades throughout, such as new concrete flooring & a custom kitchen remodel, that features a gorgeous travertine island. The incredible open floor plan is unique to the neighborhood & is the only home that has open kitchen & living space. 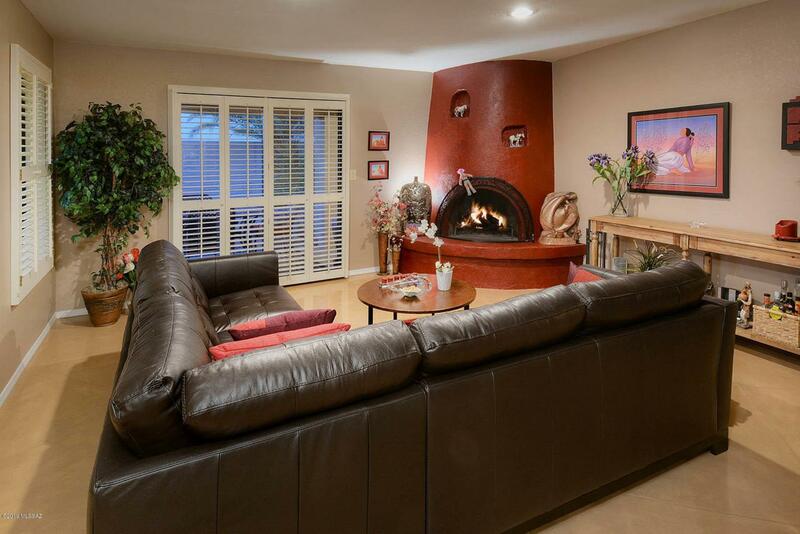 Endless counter space w/ room for barstool, a floor plan that is ideal for entertaining! Enjoy the large bedrooms, beautifully accented fireplace & private access from the master oasis that opens to the peaceful yard. 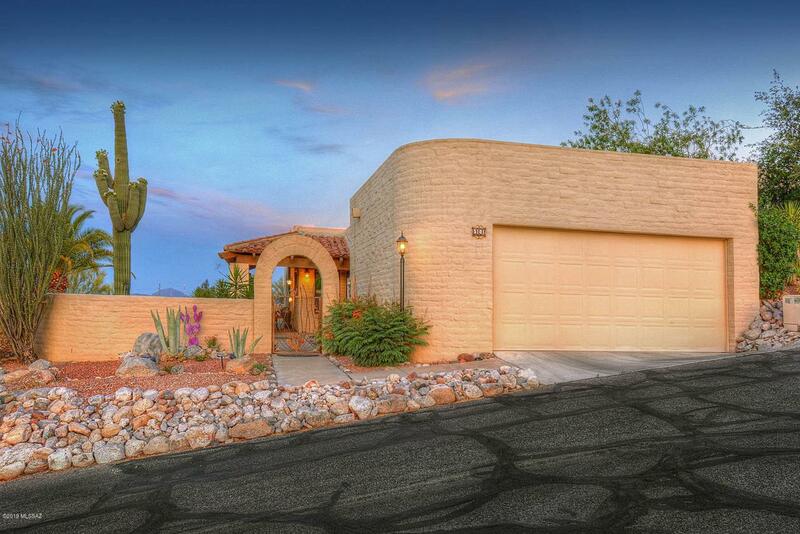 This home allows you to savor the beautiful & expansive views that Tucson has to offer. 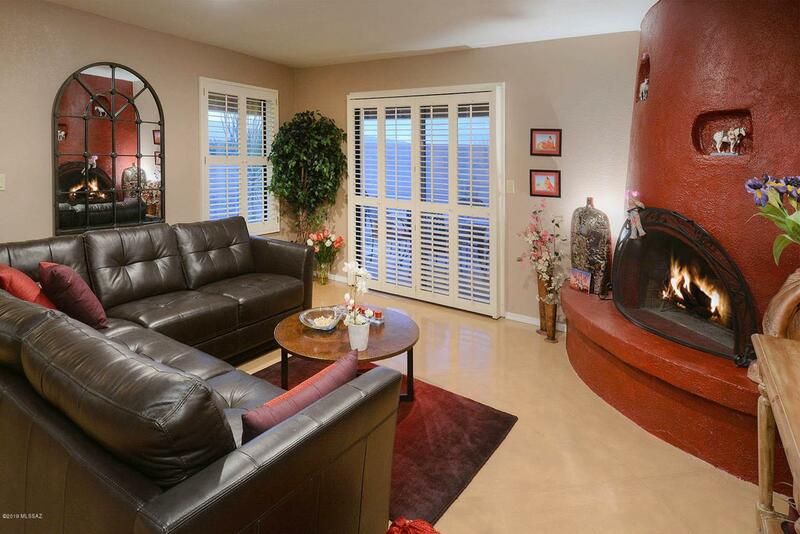 A low maintenance home & yard w/ surreal views, minutes from shopping & dining!